Yesterday's email was all about the power of 1. How you really only need 1 great traffic source and 1 great opt-in offer. And a free training for you at the end. Because most people think they need to get 10,000 subscribers or something crazy before they can start making "real money"
And that's simply not true! First off, a CandC member named Kevin has been plugging away on YouTube for a couple of months and has produced 15 videos. With a whopping 93 subscribers he is already getting requests for consulting work from high value clients! And just like that a successful consulting business is off to the races! A town of about 120,000 people between Baton Rouge and New Orleans. She is getting high quality leads and new clients from her videos. The best part? How much fun she's having! Pure awesomeness. The amount of FUN she is having while giving value to her audience is MAGNETIC. No wonder her business is exploding! I promote a product that was being retired. Up against some huge name gurus in the space with lists of more than 100,000 subscribers, I just shared my honest opinion. 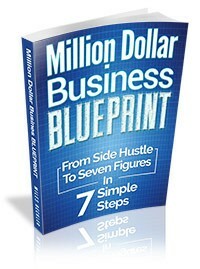 Generated more sales than any other affiliate with the smallest list out of the top 20. Subscriber numbers are simply a vanity metric. It's all about how much your audience likes you, trusts you and believes you can help them. Finally, I promised you a free training. Click here for Andre Chaperones "Lucrative Email List Building" course. In it he teaches how to generate monster profits from tiny lists through the power of story. If you haven't been through this one yet, make sure you get through it this weekend!